CEC General Secretary Fr Heikki Huttunen, CEC President Rev. Christian Krieger and Ms. María Mountraki, electoral reserve for CEC Governing Board visited CEC Member Churches in Finland, strengthening relations and discussing common concerns.The group congratulated Bishop Kaisamari Hintikka, who has been consecrated recently as the new bishop in the diocese of Espoo in Finland. Bishop Hintikka has previously served as Assistant General Secretary for Ecumenical Relations and Director of the Department for Theology and Public Witness at the Lutheran World Federation. The group also met with Archbishop Leo of Helsinki and All Finland, Bishop Emeritus Munib Younan from the Evangelical Lutheran Church in Jordan and the Holy Land, Mari-Anna Auvinen, General Secretary of the Finnish Ecumenical Council, Rev. Lena Kumlin, legal adviser on EU affairs to the Evangelical Lutheran Church of Finland and Rev. Dr Tomi Karttunen among others. Human rights and religious freedom within the European Union was the focus of a debate organised by the Conference of European Churches. The event was held on 5 December at the Chapel of Europe in Brussels, celebrating the 70th anniversary of the Universal Declaration of Human Rights. CEC Member Churches from EU member states shared their struggles related to violations of freedom of religion or belief, from both majority and minority church perspectives. It was stressed that violation of human rights and religious freedom is a hindrance in the mission of the churches. It is the first time CEC brought the issue of freedom of religion or belief within the European Union into the public debate in Brussels. Metropolitan Porfirije of Zagreb and Ljubljana of the Serbian Orthodox Church shared reflections from the minority church perspective. He said “the Universal Declaration of Human Rights presents us with the difficult, yet in no way hopeless, task of striving together to find the balance between progress in the area of respect for the rights of persons and minorities, on one hand, and the preservation of the national, cultural and religious identity of individual nations, on the other hand.” “I cannot but express my concern about the deviation from, and even the forsaking of, human rights in our European countries, on the Balkan Peninsula, in some of the former Eastern Bloc countries, and in various parts of the world engulfed in war,” Metropolitan Porfirije added. Another example from a minority church perspective was highlighted by Rev. Marta López Ballalta, Vice -President of the Spanish Evangelical Church. She shared their struggle related to the case of pastor Manzanas Martín and the discrimination faced by him and many other ministers. She explained how there was a difference in treatment for other priests and Evangelical clergy in public pensions scheme. “In such a situation it seems fundamental for a Church to work for justice,” she added.Coming from a majority church in the EU facing longstanding challenges, Bishop Porfyrios of Neapolis of the Church of Cyprus spoke about religious freedoms in Cyprus. He reminded the audience that “in July 1974 Turkey invaded Cyprus with a large military force, as a result of which, Christian monuments and those of other faiths, sacred and archaeological sites were desecrated, looted and destroyed.” “Church of Cyprus is working closely with the other religious leaders of the island to bring an end to what is an unacceptable situation in an EU member state and to gain the total restoration of religious freedom for all the legal residents of Cyprus,” said Bishop Porfyrios. CEC will continue to assist Member Churches coming from inside and outside of the European Union, facing violation of human rights that limits their mission in European society. As a results of the 70th Anniversary of UDHR churches in various forums expressed their commitment to the promotion and protection of human rights with various stakeholders as distinctive part of the civil society. Facilitated by CEC, these speakers also participated in a seminar in the framework of Article 17 of the Treaty on the Functioning of the European Union on 4 December at the European Parliament. The seminar addressed the theme “Religion and Human Rights within the EU – A Shared Responsibility” hosted by Mairead McGuinness, First Vice-President of the European Parliament. The young members of the electoral reserve of CEC Governing Board are deeply motivated to influence the life and work of the regional ecumenical organisation. Each member of the Governing Board has a proxy drawn from the electoral reserve, who comes from the same church family and region as that member. Among this electoral reserve are Tuomo Mäkelä from the Evangelical Lutheran Church of Finland, Maria Mountraki from the Orthodox Church of Finland, Katarzyna Charkiewicz from the Polish Autocephalous Orthodox Church and Deacon Iakovos Andriopoulos from the Church of Greece.The 20-member Governing Board of CEC meets twice annually to oversee the implementation of the decisions of the Assembly. The new board meets from 22 to 24 November in Brussels, for its first official gathering following the 2018 Novi Sad General Assembly. 25-year-old Tuomo Mäkelä considers being associated with CEC an “amazing and positive experience.” “I have learnt many new things related to the work of CEC and European churches. The cooperation with everyone has been lovely,” he said.“CEC values the opinions of youth, which is one way to encourage their contributions.”Mäkelä went on to say that for making CEC’s work relevant to its members and partners it is important to have a stronger youth participation in all activities.Maria Mountraki is hopeful about the engagement of young people in European churches. 26-year-old Mountraki has been involved with the ecumenical movement and was among the organisers for youth programmes held at the 2018 Novi Sad Assembly of CEC in Serbia. “I am sure in future there will be more engagement for young people. And I am excited to see how much difference we can make together.” Mountraki went on to say that churches must use their resources for good youth initiatives and offer opportunities to hear young people’s voices in their midst. “In our church, young people cultivate the tradition of their ancestors as well as martyrs who sacrificed their lives for faith,” added Charkiewicz. “The church without young people is like a tree without leaves and flowers. It means that it has roots such as history and elderly people full of faith, but without flowers it will not bear fruit, and without fruit the tradition will not be passed on,” she added. The CEC Governing Board also includes three young members namely Andreas Henriksen Aarflot from the Church of Norway, Lea Schlenker from the Evangelical Church in Germany and Emma Johnson from the Methodist Church in Britain. The high-level meetings and discussions are held regularly between the European Commission and churches and religious, philosophical and non-confessional organisations. The meetings were launched by the Commission in 2009 when such dialogue was enshrined in the Lisbon Treaty (Article 17 TFEU). The dialogue is now under the responsibility of First Vice-President Timmermans. Churches in Europe have reacted with disappointment to the outcomes of yesterday’s European Union summit mainly addressing migration. General Secretary elect of the Churches’ Commission for Migrants in Europe (CCME), Torsten Moritz, criticised the conclusions of the European Council held on 28 June in Brussels. “Once again the summit has missed the chance to discuss how the arrival and integration of refugees can be a success for all and instead discussed illusionary plans about keeping people out.” CCME also expressed dissatisfaction with the consideration of “regional disembarkation platforms” in third countries, an idea referred to as “camps in Africa” that has been reappearing for well over a decade since the United Kingdom government and German Federal Minister of the Interior first mentioned it. The EU has not resolved any of the legal, practical, and moral issues relating to this since then. At worst, this will lead to something resembling a “refugee Guantanamo” at EU external borders and destabilise host countries. At best, there will be no impact at all.“If the EU wants to support refugee protection in the regions of origin or transit,” Moritz continued, “it could support the many existing camps, for example in Jordan or Uganda, which are already notoriously overcrowded and underfunded.” He also expressed scepticism toward proposed “controlled centres” inside the EU. “It is unclear what these controlled centres are supposed to look like. If they involve locking people up just because they ask for asylum, they are in breach of European and international law. If we are looking at relocation from these centres, we certainly will need to consider the very sobering experiences made with the so-called “hotspots” that were intended to facilitate relocation in the last years.”Resources for border security and combatting irregular migration will not resolve social and political problems. Imbalances will only grow if countries at EU external borders are made solely responsible for asylum procedures and removal of those not accorded protection. “We agree that some people will have to return at the end of a full and just procedure,” Moritz noted. “One should not, however, for ideological reasons ignore all the legal, practical, and moral obstacles that make it impossible to return many of those without a residence permit in the EU.”The EU should examine where it is contributing to reasons why people flee, including through unjust trade, failure to address climate change, arms exports, and other policies. Bruxelles 29 January 2016 11am to 12pm Central European Time The Conference of European Churches and the World Association for Christian Communication Europe invite all to an online video presentation and discussion on women’s representation in church media and secular media. Presentations will be made by Prof. Karen Ross, Professor of Media, Northumbria University and Mari Teinilä, Chief Editor, Kotimaa magazine and Kotimaa website. A question and answer period will follow the presentations. The Conference of European Churches (CEC) is a fellowship of some 114 Orthodox, Protestant, Anglican and Old Catholic Churches from all countries of Europe, plus 40 national council of churches and organisations in partnership. CEC was founded in 1959. It has offices in Brussels and Strasbourg. WACC Europe is part of the World Association for Christian Communication, a non-governmental organisation that builds on communication rights in order to promote social justice, and aims to be a catalyst for change for the common good, sharing information, knowledge, and experience in the field of communication. The Conference of European Churches (CEC) is a fellowship of some 114 Orthodox, Protestant, Anglican and Old Catholic Churches from all countries of Europe, plus 40 national council of churches and organisations in partnership. CEC was founded in 1959. It has offices in Brussels and Strasbourg. WACC Europe is part of the World Association for Christian Communication, a non-governmental organisation that builds on communication rights in order to promote social justice, and aims to be a catalyst for change for the common good, sharing information, knowledge, and experience in the field of communication. From 26 to 29 of May the General Secretaries of the National Councils of Churches in Europe will meet in Berlin. Apart from the “Pilgrimage of Justice and Peace”, proclaimed by the World Council of Churches (WCC), the 25 participants from 15 nations will visit the German Bundestag and discuss the relationship between church and state as well as the situation of persecuted Christians.From Norway to Italy, from Portugal to Poland, the General Secretaries of the National Councils of Churches of 15 European countries will come to Berlin for their annual meeting. They will reflect on concrete steps for the “Pilgrimage of Justice and Peace”. The look forward to discussing how European churches can cooperate on issues like life-affirming economies, the protection of creation, nonviolent peace-building and reconciliation and the protection of human dignity.The General Secretaries will discuss the relationship between church and state in Europe with members of the German Bundestag and the office of the representative of the Evangelical Church in Germany to the Federal Republic of Germany. They will also gather information about measures are taken by European governments to protect persecuted and oppressed Christians and religious minorities.In many countries of the world organisations have been created to provide a reliable basis for multilateral cooperation among churches. They are usually called national or ecumenical councils.The national councils of churches in Europe stay in continuous contactthrough these annual meetings held at the different locations of their General Secretaries. They focus on the sharing of experiences and on working together on a topic important to all. In 2014 the meeting took place in the Netherlands and focussed on the global financial crisis. Representatives of the WCC and the Conference of European Churches (CEC), including CEC General Secretary Guy Liagre will also take part in the meeting. Brussels. Churches led wide-ranging discussions with the Latvian Presidency team on religious freedom and tolerance, climate change, migration, security strategy and conflict prevention and EU neighbourhood policy. Within a week of taking on the Presidency of the European Council, the Latvian Minister of Justice, Dzintars Rasnačs, received a delegation of representatives from the Christian churches of Europe to discuss the Latvian Presidency agenda. The meeting was held on Thursday 15 January at the Ministry of Justice in Riga. Delegates underlined the importance of dialogue on matters of respect, tolerance, and peace in the midst of diversity in Europe. The strengthening of the Eastern Partnership dynamic was also discussed in view of the Riga Summit (May 2015). “We believe that ties between the countries involved in the Eastern Partnership need to be strengthened, says Guy Liagre (CEC), “we also welcome this opportunity for cooperation between the churches in Latvia with their international counterparts.”The Latvian presidency gave oversight of measures on climate protection and the environment in the run-up to the Paris UN Climate Summit (December 2015). “We pleaded that the challenges faced by developing countries in this regard be factored in to any proposals the EU might make at the Paris Summit,” said Fr Patrick Daly (COMECE). ‘The churches in the EU have demonstrated a commitment to energy efficiency in a wide range of micro schemes implemented by local church communities and will continue to do so.”The elaboration of a new European security strategy and conflict prevention will be impacted by the growing terrorist threat on EU territory. The churches acknowledged the acute concern about internal security but pleaded for a continuing respect for rights and freedoms of EU citizens. The Governing Board of the Conference of European Churches (CEC) held its third meeting since the 2013 Assembly in Budapest. The meeting took place in Brussels, Belgium, from the 2nd to the 5th of June 2014.The meeting was opened by CEC President, the Rt. Rev. Christopher Hill. First on the agenda was the issue of transitional arrangements, which included substantive discussions on the legal aspects of the upcoming merger of CEC and CSC later in the year. To mark the launch of the new combined CEC, a high profile public event will be held in Leuven on 3rd December this year.The presence of the Moderator and General Secretary of the Churches’ Commission for Migrants in Europe (CCME) was welcomed by the Governing Board as an encouraging testament to the on-going negotiation process. The Governing Board reaffirmed the vital work of CCME and expressed its hope for a fruitful outcome of the dialogue between CEC and CCME.The Governing Board were pleased to see a positive financial outcome from 2013 and underscored the essential aspect of stewardship which needs to undergird the finance work of CEC. A second round of discussion on the Standing Orders as mandated by the Budapest Assembly also took place.To commemorate the centennial of the start of the First World War later this year, the Governing Board approved a declaration to be disseminated to CEC member churches and partners reaffirming the vital role of churches as agents of peace and reconciliation. A number of activities are also being planned to commemorate this watershed in the history of Europe and the world. This declaration may be viewed here.The Governing Board expressed its concern for the situation in Ukraine and took note of the anniversary of the Armenian Genocide. A conference to commemorate the latter is planned for 2015.As we commemorate, today, the 70th Anniversary of the Allied Landing on the beaches of Normandy and are reminded of the fragility of peace in Europe, the Governing Board calls on its members and organisations in partnership to join them in prayer for the people and leaders of Ukraine and asks that all those involved in CEC, CSC and CCME are also held in prayer at this time of transition. Statement from the President of the Conference of European Churches (CEC) and the President of the Council of European Episcopal Conferences (CCEE)In the face of the suffering, destruction and death which the noble Syrian people have been enduring for too long, we reaffirm our ‘No’ to war.At this time our thoughts are especially with all the Christian faithful and their families who have been particularly affected by the conflict in Syria, through killings and a mass exodus which risks wiping out a more than thousand-year-long presence in that area of the world.We are aware that true peace can only come from God. To him we must entrust the anguished hearts of humanity, to him we must pray for our inner peace and that of the peoples in conflict. We invite all the faithful of our Churches in Europe to unite with us and the international community in the day of fasting and prayer for peace in Syria, Saturday 7 September, proposed by Pope Francis. To all nations, especially those gathered at St Petersburg for the G20 summit, we want to send a reminder, along with the Archbishop of Canterbury, Justin Welby, Pope Francis and many other leaders of our Churches, to put first the path of dialogue rather than arms. We exhort everyone to look to God to enter on the path which brings an end to hostilities, putting weapons down and opening the way to negotiation, dialogue, reconciliation and peace. It is never too late to build a future together. This peace so longed for can only be achieved together, never by the abuse of one over the other. We are sure that, with God’s help, good sense can prevail and bring about a peaceful living side-by-side in truth, justice, love, freedom and respect for all minorities, especially the Christians in the country. “Though there are many peace activists in the world, who deserve recognition through a prize like this, it does not come as a total surprise that the European Union is awarded with the Nobel Peace Prize. The Conference of European Churches and its Church and Society Commission welcome today’s decision of the Nobel Peace Prize Committee and congratulate all who have contributed to the success of the European integration project,” Rüdiger Noll, Director of the Church and Society Commission of the Conference of European Churches, commented. “The Nobel Peace Prize is a reminder that today’s European Union started as a peace and reconciliation project.”“In as much as the Nobel Peace Prize is a recognition of how successful the European peace and reconciliation process is and was after the devastating effects of two World Wars, the prize is also a challenge for the future. Especially at a time of an economic and financial crisis, the decision of the Nobel Peace Prize Committee should serve as a reminder of the original raison d’être of the European Union and the core values of the European integration process. Most of today’s conflicts are not primarily conflicts between states, but within societies. Poverty, social marginalisation, access to resources and failed integration policies are often root causes for today’s conflicts. In this regard as well as in promoting peace and reconciliation in a global context the European Union has an important role to play,” the CSC Director added. The Conference of European Churches (CEC) is a fellowship of some 120 Orthodox, Protestant, Anglican and Old Catholic Churches from all countries of Europe, plus 40 associated organisations. CEC was founded in 1959. It has offices in Geneva, Brussels and Strasbourg. The Church and Society Commission of CEC provides a platform for the CEC membership to reflect on socio-ethical issues ecumenically and to involve them in common action and advocacy in relation to the European Union, the Council of Europe, the North Atlantic Treaty Organisation, the Organisation for Security and Co-operation in Europe and the United Nations (in European matters). CSC operates as a forum for action, dialogue and ecumenical training in European affairs. 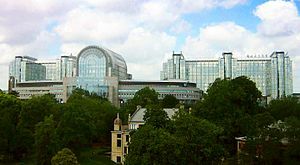 From 25-27 April 2012, around 50 representatives mainly from European churches but also from other religions and the fields of politics, ethics, and science, will meet in Brussels to discuss the pros and cons of human enhancement. The conference is organized by the Church and Society Commission (CSC) of the Conference of European Churches (CEC), a platform in which a range of Christian denominations in Europe work together. A visit to the European Parliament, including a discussion with representatives of different political parties, is included.Through the use of nanotechnology, genetic screening and engineering, implanted computer devices, and other techniques, human beings can now live longer, more comfortably, and can perform better. Part of the expectations on this so called “human enhancement” may be too pretentious, but even so, human enhancement does exist and develops rapidly. Should we be happy about these techniques? Will they contribute to better relationships, happier people, and more humane societies? Do they lead to a blurred distinction between humans and machines – and if so, is this good or bad? What about the financial costs? And will human enhancement lead to a new anthropology and a changed view on God and religion? Does it challenge traditional religious views? The aim of the conference is to listen, discuss, and to explore possible points of moral agreement and concern. The aim is not to formulate final normative statements. Participants from 18 countries will take home both up to date factual information and normative insights. Within the context of the CEC, a task force of church representatives will continue to discuss questions of biotechnology in the year to come and help member churches and other stakeholders to form their own opinions. Directly after the conference, on Friday at 14.00, a bulletin will be issued containing conclusions and recommendations. Geneva. At the conclusion of the worldwide Week of Prayer for Christian Unity (18-25 January 2012), the Joint Committee of the Conference of European Churches (CEC) and the Council of European Episcopal Conferences (CCEE) will meet in Geneva at the John Knox Centre from 26-28 January 2012 at the invitation of Metropolitan Emmanuel of France, President of the Conference of European Churches (CEC). The Committee, established in 1972, is the highest body for dialogue between CEC and CCEE. It usually meets annually and includes, as well as the General Secretaries of the two bodies, seven members from CEC and seven appointed by CCEE. This year, the CEC delegated members will be meeting for the first time the new CCEE Presidency and members of the Joint Committee appointed October 2011 at CCEE’s Plenary Assembly. The main theme of the meeting will be developed with contributions from experts. In particular, Professor Giancarlo Blangiardo, lecturer in demographics at Milano-Bicocca University, will focus on the demographic, political and economic challenges facing the Churches and Society, while Professor Alister McGrath, professor of Theology at King’s College, London, will present a cultural and spiritual reading of the same context. On the basis of these presentations, the participants will debate the issue of the witness of the Churches, in particular examining the theological and practical responses, starting from pastoral and local experiences, as regards the current ever-changing situation. During the meeting, the participants will also meet the general secretaries and representatives of the World Council of Churches, Lutheran World Federation (LWF), the World Communion of Reformed Churches (WCRC) and the ACT Alliance as well as with the representatives of local churches in Geneva region. On the evening of 27 January, the participants will be received by Archbishop Silvano Tomasi, Apostolic Nuncio and the Holy See’s Permanent Observer to the United Nations and other International Organisations in Geneva. The agenda also includes discussions on the following issues: the presence of the Roma people (Rom, Sinti, Gitani); dialogue with Muslims in Europe; and the current political and economic situation in Europe. The meeting will end on the afternoon of Saturday 28 January with a visit to Geneva’s International Museum of the Reformation.The programme will be marked by moments of prayer according to the various traditions of the Christian denominations present at the meeting. “The Central Committee of CEC is not only the highest authority of this organisation between General Assemblies but also the largest and most inclusive platform for exchange and reflection in Europe. 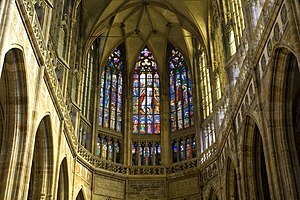 At its meeting in Prague the CEC Central Committee will have to take a lot of decisions for the future cooperation with all churches in Europe, as well as to reflect on how the churches should respond to the challenges the whole world is struggling with today”, said Rev. Dr Viorel Ionita, CEC Interim General Secretary. The comprehensive task for this Central Committee will be first of all to decide on a clear direction for CEC to follow in the coming years. One of the primary steps for moving in this direction will be the election of a new Interim General Secretary. In accessing how CEC and its member churches can work more effectively together for the common future of the churches in Europe, the Central Committee will receive reports from the CEC Revision Working Group and the Assembly Planning Committee which are working on the preparations for the 14th Assembly of CEC along with a report on the working priorities for 2012. The Central Committee will also receive reports from the Interim General Secretary, the Church and Society Commission (CSC), the Churches in Dialogue Commission (CiD) as well as a report from the Churches Commission for Migrants in Europe (CCME). A special highlight of the meeting will be a time for discussion between the Central Committee members and representatives from the churches in the Czech Republic. The Conference of European Churches (CEC) is a fellowship of some 120 Orthodox, Protestant, Anglican and Old Catholic Churches from all countries of Europe, plus 40 associated organisations. CEC was founded in 1959 and has offices in Geneva, Brussels and Strasbourg. The Church and Society Commission of CEC (CSC) is organising a Consultation on “Human Rights begin within the Churches”, related to the project Human Rights Manual for European Churches, from 3-5 May 2010 in Hildesheim – Himmelsthür in Germany. The local host is the Church and Society Commission of the diocese for Central Europe of the Serbian Orthodox Church in whose premises the Consultation will take place. About thirty participants from across Europe will discuss the practical concepts of the Human Rights Manual for European Churches (Part II), including Human Dignity – Security of the Person, Religion and Public Life, Discrimination and Equality, the movement of people, Roma etc. The discussions will take place on the basis of recent trends and developments in the human rights discourse from the perspective of the European Institutions and European churches, and the priorities of the Churches’ human rights home agenda and themes already tackled in its first part. The participants will shape the Churches’ Human Rights Experts Network, which will serve for the implementation of the Human Rights Manual for European Churches. The Church and Society Commission of CEC is thankful to the authors of the Human Rights Manual for European Churches (Part I) for their valuable contribution in supporting and strengthening the churches’ involvement in promoting and implementing human rights.